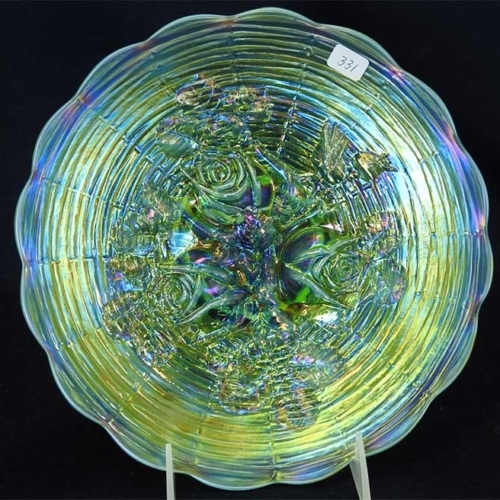 Seeck Auctions will be auctioning the Judy Maxwell and Dennis & Linda Naphin collections. Best combined Contemporary and Classic display. HOACGA will serve Subway sandwiches for all early arrivals. 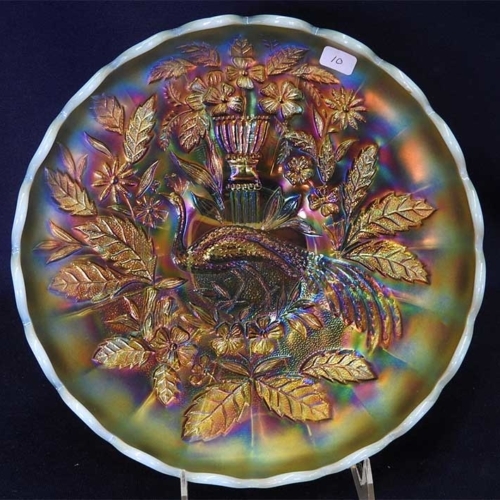 Contemporary carnival glass auction. 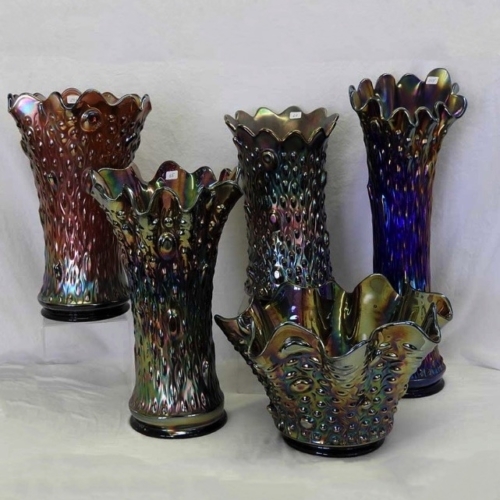 Cake and coffee will be served and about 90 pieces of contemporary carnival glass will be auctioned. This will be an online auction and a complete listing will be available online. Special Display. The display is presented for the educational benefit of the Carnival Glass collector. This year’s theme is Northwood blue – the darker colors; cobalt blue, renninger and sapphire. There are at least 20 different variations of blue. The glass will be on display Thursday afternoon thru Friday until 3:30pm. The items will be presented in a talk at 10:30am Friday morning. 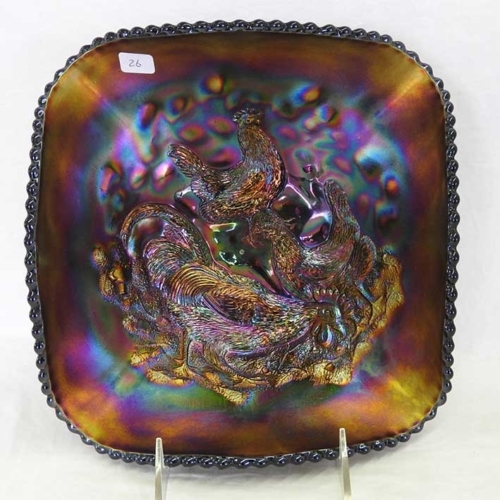 Auction: Seeck Auctions will be selling the Judy Maxwell and Dennis and Linda Naphin collections – auction starts at 9:30am. 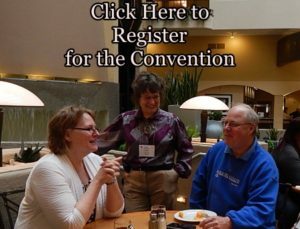 Banquet: The annual banquet will be held Saturday evening with Bob and Shirley Patterson from Cerritios, California doing the talk. 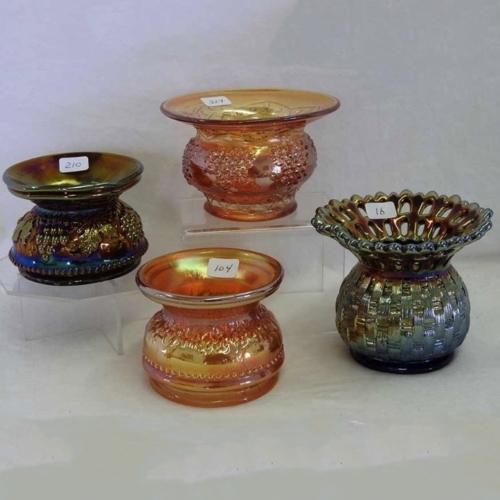 Bob and Shirley have been active in collecting carnival glass for many years, we are looking forward to an informative Carnival Glass talk. Room display winners will be announced, special whimseys will be auctioned.